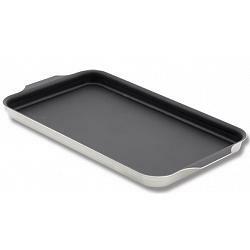 This griddle from Nordic Ware was proudly made in the USA and comes with a 5 year warranty. The cast aluminum double griddle spans two burners and provides even heat distribution. The high sides keep the spatters contained and offer greater capacity for breakfast foods and more. The griddle features 2 convenient stainless steel handles and is ideal for pancake and eggs and much more. 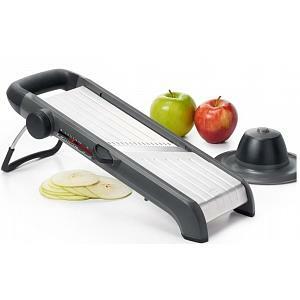 The griddle has the following dimensions: Interior: 17.5"L x 10.75"W x 1.13"H - Exterior: 20.13"L x 11.63"W x 1.38"H.